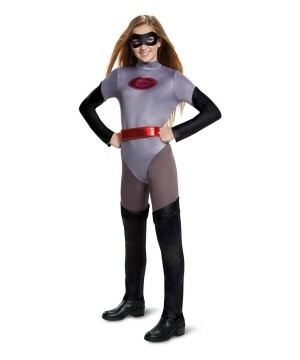 Costumes in all sizes & styles. 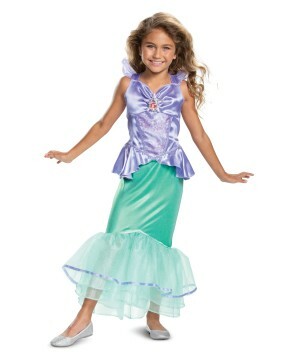 Officially licensed Disney costumes from your favorite classic films at friendly prices. Shop for men, women, boys and girls; the most popular characters including fairies, princesses, superheroes and anthropomorphic animals. 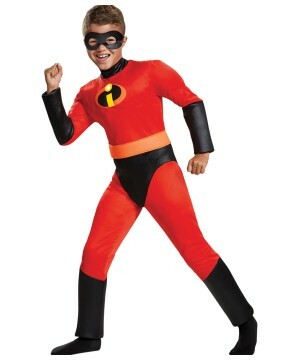 Disney costumes are the pride and joy of WonderCostumes.com. 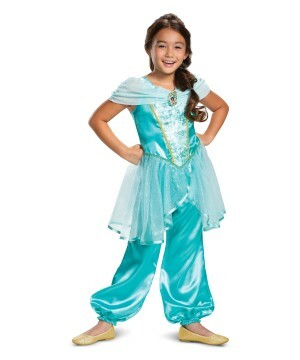 Saying we have the largest selection of Disney character outfits on the web is not much of an overstatement! 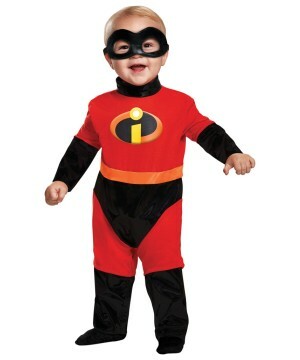 Navigate through 36 plus pages of Disney costumes for kids, babies, adults and even pets! Our collection covers just about every movie; and within each movie category we have every Disney princess, superhero, villain and all the supporting characters that make the world of Disney pure magic. We want to help you and your family bring to life the classic childhood fairy tales and charming stories for the most special costumed occasions—from Halloween to school plays and Disney themed birthday parties, Disney costumes are a flawless option. In the Disney costume industry, we also do not lose sight of this notion. These were the famous words of Walt Disney when reflecting on the grand success of his empire. Mickey Mouse disguises are some of the most popular classic Disney costumes for Halloween and they are the center of Disney theme parties around the world since Disney is an international brand and Mickey is the face of the organization. Mickey Mouse was brought to life in 1928 by Walt Disney and Ub Iwerks; the two young visionaries made history from the introduction of the first sound cartoon featuring Mickey, Steamboat Willie. Hundreds of original movies—and that’s not including titles by acquired subsidiaries—various television channels, and multiple theme parks later, Disney became the biggest entertainment company in the world. Merchandising was a byproduct of the company’s success and inevitably, Disney costumes became one of the largest product categories to carry the brand. 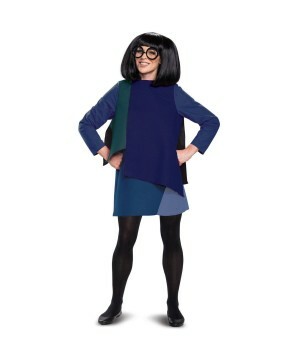 The Disguise costume company is the manufacturer in charge of bringing Disney outfits from the movie screens to the real world. They not only make Disney costumes from the latest animated films from Disney-Pixar and Walt Disney Studios, but they also cover all the classics. 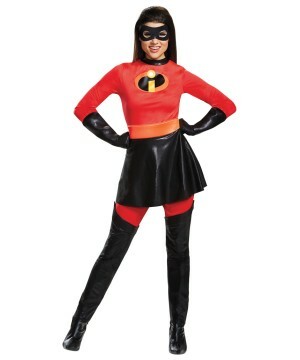 At WonderCostumes.com, we sell every possible Disney costume and accessory available from this manufacturer to make sure you, our customer, find the most complete selection of Disney character costumes from your favorite movies. 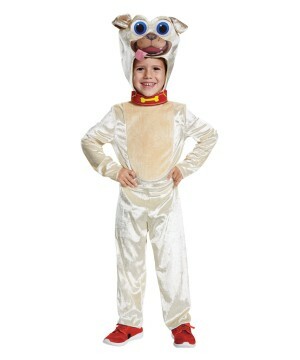 Your whole family can enjoy dressing up like any original Disney character. 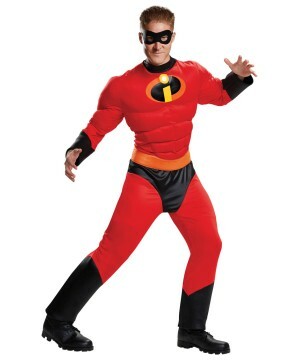 Our officially licensed Disney costumes range from characters from animations (of all types) as well as live action films. The obvious classic Disney costumes include Mickey and Minnie Mouse, Donald Duck, Goofy, Pluto and the whole Mickey and Friends gang. But Disney has come a long way from just centering around one cartoon to represent the brand. Disney Princess fairy tales are just as important. Consequently, Disney Princess dresses make for some of the most coveted costumes for Halloween—and “just because.” The list is immense, but among the most prominent Disney princess gowns are the ones worn by Cinderella, Snow White, Aurora from Sleeping Beauty, Frozen’s Elsa and Anna, Merida from Brave, Rapunzel, Jasmine (Aladdin’s love), The Princess and the Frog’s Tiana, Belle from Beauty and the Beast, The Little Mermaid’s Ariel, and Peter Pan’s tiny companion—Tinkerbell among too many others to list here. 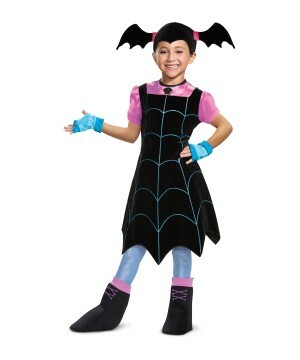 All of the prior mentioned make for excellent Disney costumes that have become hot commodities as Halloween attire and Disney themed gifts. This selection is available for girls and women of all ages, all of which may be accompanied by costumes for the male prince counterparts like Cinderella’s Prince charming, Aladdin and Prince Adam (“the Beast”). Disney outfitting is not all about fairy tales and princesses. Disney has many faces, one of them being the comedic side shown in Pixar studios films like Toy Story, Monsters Inc., Finding Nemo and newer titles like Zootopia, Moana and Finding Dory. Disney costumes from all these features meet the expectations of fans just as well as the films—and we have them all! Disney’s comedic side also shines through live action movies like Pirates of the Caribbean, but the true magic of live action Disney characters is that they do an excellent job at presenting the stories in a way that everyone can relate to in the real world. That is what makes Disney costumes from these films so compelling. When worn, these Disney outfits give you, at least for a moment, the feeling that you are not too far from living as your favorite characters. Classic animated personalities like Mowgli, Alice and Cinderella find their way into the 3rd dimensional world of live action film in remakes like The Jungle Book, Alice in Wonderland/Through the Looking Glass, and Cinderella. 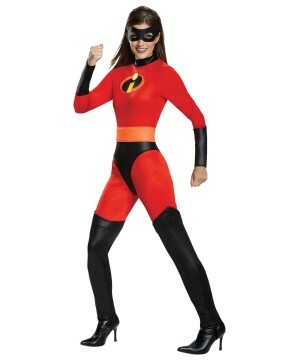 All these movies make for incredible, fashionable, lovable Disney costumes. Disney costumes are not just about Disney; the company’s reach stretches far beyond its own recognizable brand. In addition to Disney’s original productions, costumes characters from other companies like ABC, Marvel Studios and Lucasfilm have come under the Disney umbrella as subsidiaries. This means that disguises from these other successful character empires are now considered part of the Disney costume family. 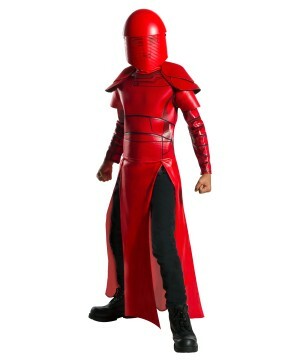 Although not official Disney costumes, the Rubies Company has been making outfits from movies like Lucasfilm’s Star Wars and Indiana Jones along with Marvel Studios hits like The Avengers, X-Men, Captain America, Iron Man, and Spider-Man. 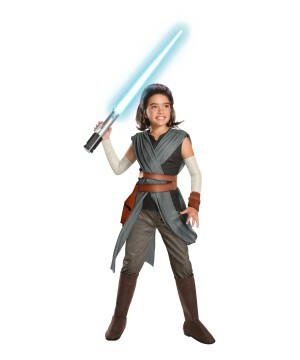 With the release of new installments from both, Lucasfilm and Marvel, the Disney costume line expands thanks to the demand for outfits from Star Wars Episode VII: The Force Awakens and The Avengers: Civil War. The two films alone contain a world of characters with captivating costumes that we are proud to carry. Aside from having one of the largest supplies of Disney costumes on the web, you can feel confident that you are doing business with a trusted company. 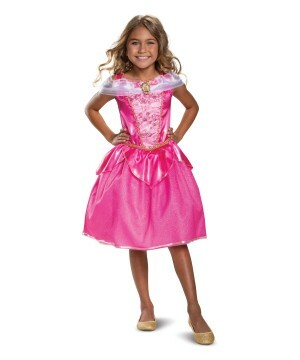 We have been selling Disney costumes for more than 10 years, so we know and have everything you need when it comes to shopping for Disney outfits. Our friendly staff is happy to take your requests and ensure that your shopping experience is unparalleled. We ship promptly to any place in the U.S. and across the world! 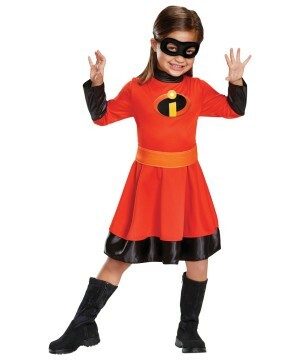 Take advantage of our great discounts and free shipping on Disney costumes when you meet the offer threshold. 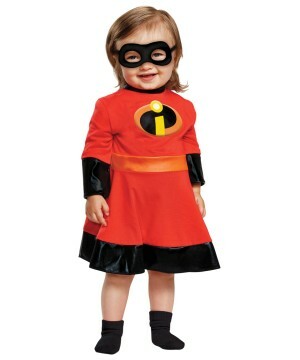 Contact us 1-800-288-9916 or e-mail info@wondercostumes.com for more information on Disney costumes.